Come summers and it is time to savour mangoes. 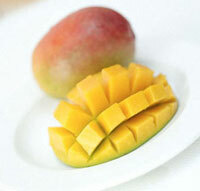 In the Hindu mythology mango is known as “food of the Gods”. Mango is popular throughout the world.There are lot of dishes that can be made from mangoes like milk shakes, juices, jam, jellies, pickles and mango papad. Even raw mangoes can be used in chunteys and curries. So here we have collected few mouth watering dishes for you.